MetroStars threw away a two-goal lead, only to recover and defeat South Adelaide 4-2 in Round 7 of the PlayStation 4 National Premier League South Australia at TK Shutter Reserve on Saturday. Joseph Polisena and Doni Pollock had the hosts clear at half-time, but a quick-fire Jonathon Rideout brace brought the Panthers level just past the hour mark. Jonathan Negus restored MetroStars lead, before a late Travis Dodd sealer. 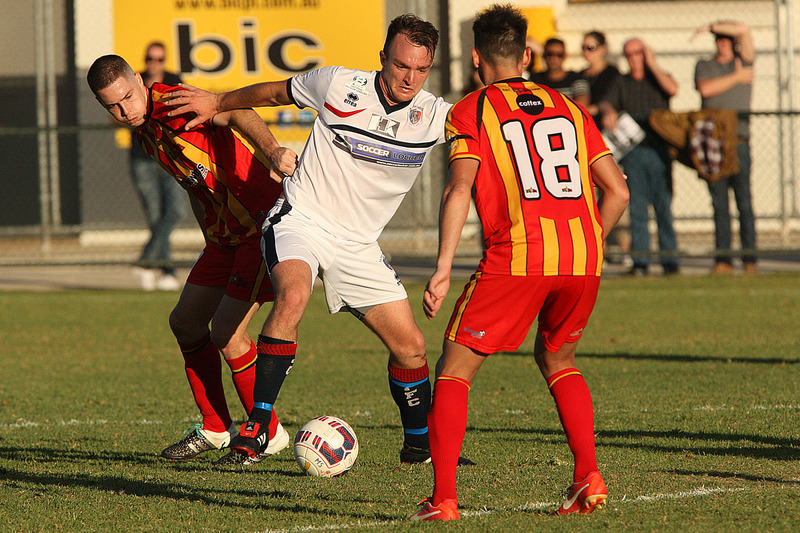 MetroStars coach Michael Pirone says the result had been coming. “It’s a win which gives us some breathing space. It had been coming for a few weeks, but for whatever reason we hadn’t got over the line,” he said. “The first half was comprehensive, then the penalty changed the game. After they equalised we took control again. I was really pleased that at 2-2 we pushed on and got what we deserved. “We worked harder this week. Fabian Barbiero and Bailey Truscott did well and were selfless in their running. South Adelaide boss Danny Graystone could take positives from the game. “We knew it would be difficult, especially with nine players out. The young guys who came in continue to get experience,” he stated. “We sat in deep in the first half, but mental lapses cost us. We switched off at the wrong time. It was a much better showing in the second half. “Making two changes by half-time didn’t help and it’s hard for the Reserves players who come up to match the intensity. Addison Rodgers produced a superb one-handed save to deny Rocky Callisto’s 25th minute header, but Polisena tucked the ball home from the resulting corner. MetroStars increased the lead in the 44th minute, with Pollock firing a first-time shot past Rodgers following a sweeping move and cross into the centre. Philip Rideout tried to drill his team back into the contest from distance, but it was Jonathon Rideout who did just that. He was felled in the penalty area and picked himself up to convert the resulting penalty in the 57th minute. Rideout brought the Panthers level just five minutes later, latching on to Joshua Partridge’s pass to hook a shot in at the near post with Callum Piantedosi beaten. Substitute Dodd cracked the crossbar on his MetroStars debut at the other end. But the home side did regain the lead as Justin Davis picked up the ball from a corner and crossed for Negus to tuck home with 13 minutes to play. 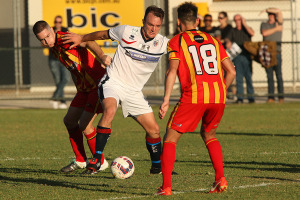 Former Adelaide United captain Dodd rounded out the scoring in second half injury time, grabbing his maiden MetroStars goal with a sweet finish past Rodgers.